The theater is filling up fast. Only a few days ago, we reported that the new host for the Mystery Science Theater 3000 reboot will be comedian Jonah Ray. Now, it has been confirmed that Felicia Day will be the new mad scientist. She will be playing a new character, Kinga Forrester, who is the sister of original chief mad scientist Dr. Clayton Forrester and the daughter of Pearl Forrester. The news comes about two weeks after series creator Joel Hodgson started a Kickstarter campaign to bring the cult favorite show back. The original series was cancelled in 1997. Within six days, the campaign reached its $2 million goal. In addition to Day, Hodgson announced comedians Hampton Yount and Baron Vaughn will voice the new Crow and Tom Servo, respectively. No word on when the new series will premiere. What do you think? Are you excited about Felicia Day as the new Mad? 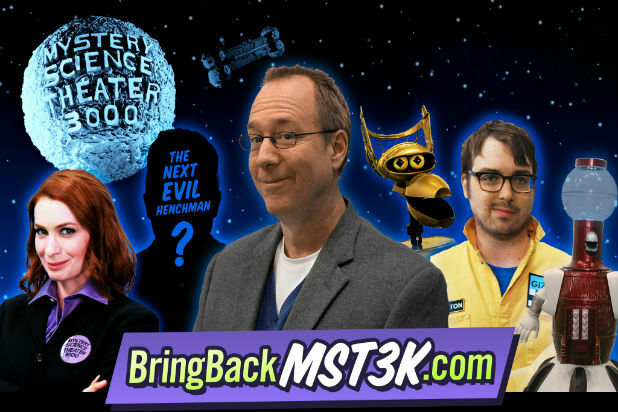 About the Mystery Science Theater 3000 reboot? Who do you want as the next Evil Henchman? More about: Mystery Science Theater 3000, Mystery Science Theater 3000: canceled or renewed?